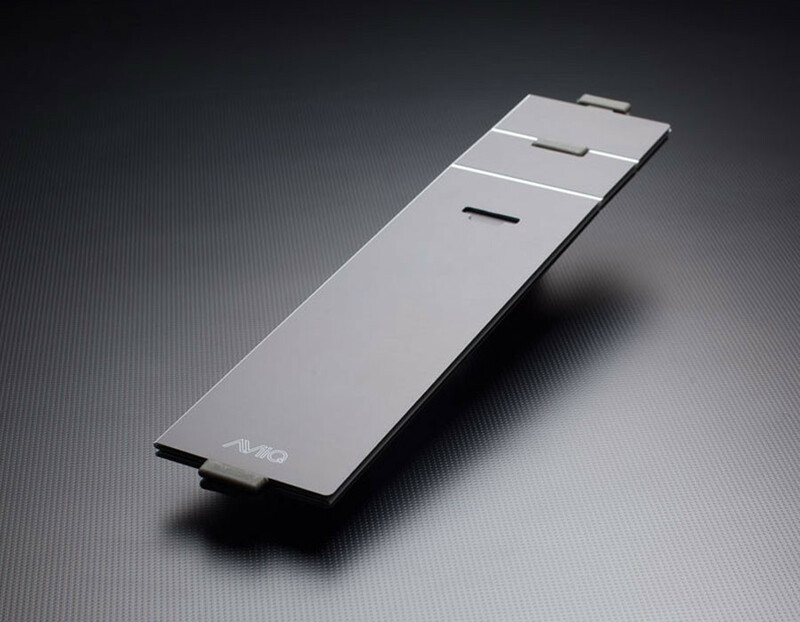 If your one of the lucky ones not stuck in a cubicle, and your profession includes traveling and working remotely, check out the Aviiq Portable Laptop Stand a sleek aluminum stand for your laptop, This super-portable laptop stand elevates your laptop at a 12-degree angle which makes it ideal for wrist and screen visibility. 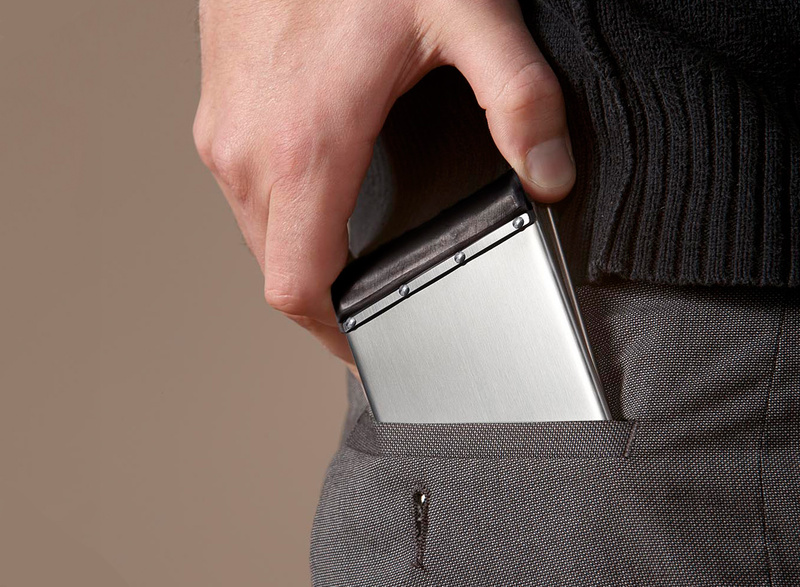 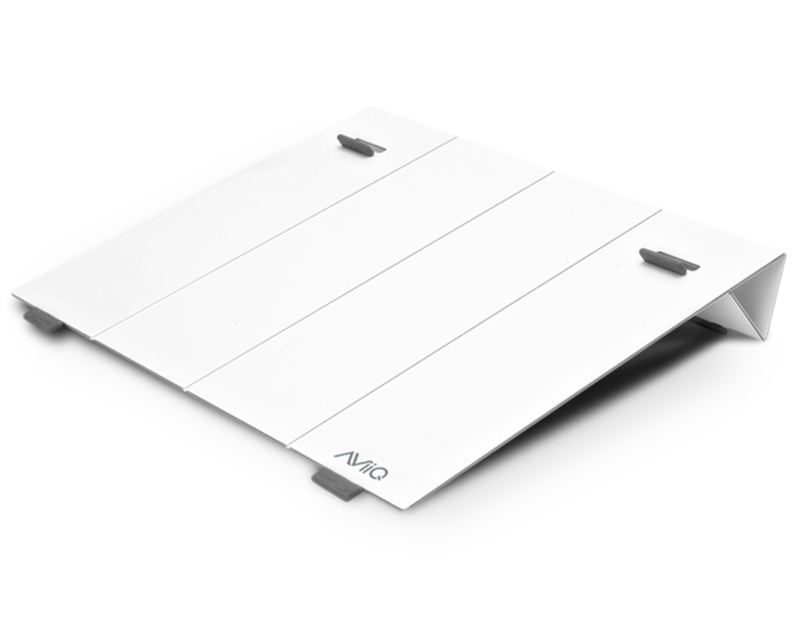 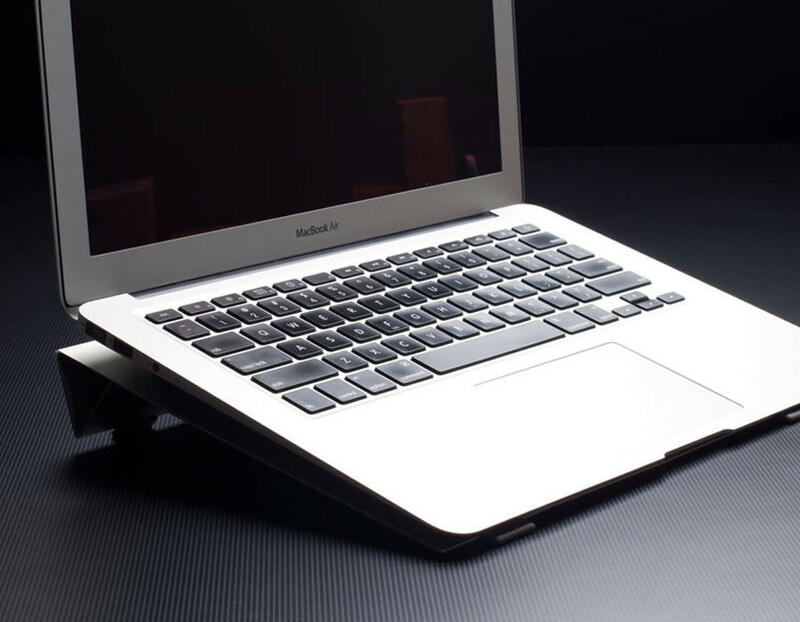 Unlike other laptop stands which are big, bulky and hardly portable, the AViiQ Portable Laptop Stand folds down to a ridiculously thin 1/4 inch so it can fit perfectly into your laptop bag. 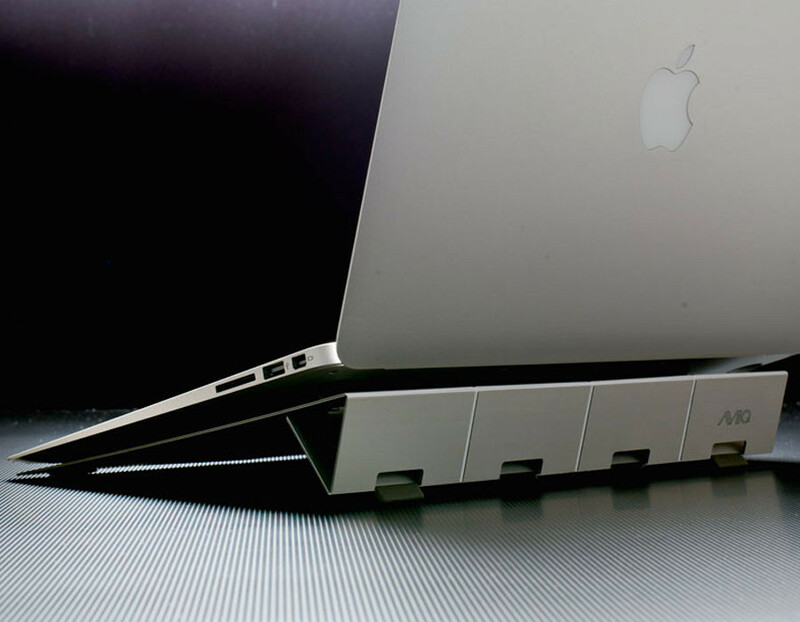 Also, by elevating your laptop, the stand acts as a notebook cooling solution to help your computer run better.